Acer announced one of the company's thinnest and lightest 15.6-inch class laptops at its annual Next@Acer event. The laptop packs Intel’s latest Core CPU and can work for a day on a single charge. Meanwhile, it weighs less than 1 kilogram (2.2 pounds) and is comes in a relatively thin chassis made of rather rare alloys. The Acer Swift notebooks are aimed primarily at road warriors who value portability and low weight above many other things, but also still care about performance to a degree. 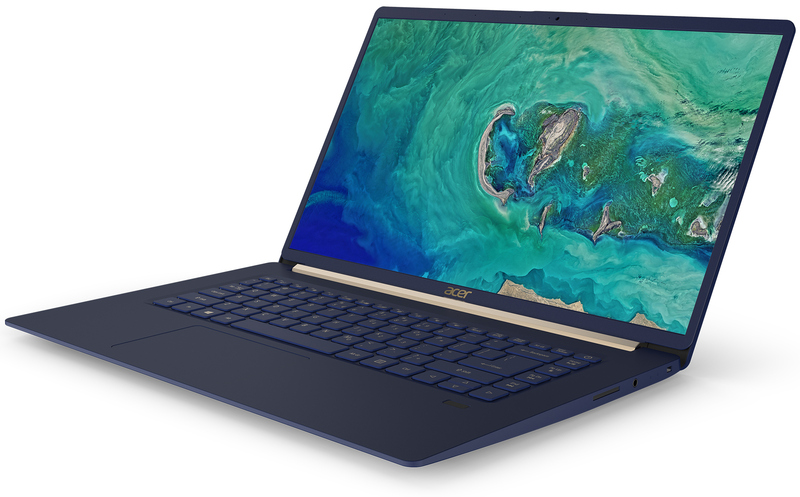 The new Acer Swift 5 comes in a specially-designed chassis featuring top and bottom covers made of magnesium-lithium alloys to ensure a low weight and the palm rest cover made of a magnesium-aluminum alloy to make it sturdy, the manufacturer says. The new Acer Swift 5 is equipped with a 15.6-inch IPS display panel featuring a Full HD resolution and 5.87-mm (0.23-inch) bezels, which are rather tiny. As for internal hardware, the new Swift 5 is based on Intel’s "latest" Core processors accompanied by up to 16 GB DDR4 memory, and SSDs up to 1TB in size. When it comes to connectivity, the Swift 5 comes with Intel’s Wireless-AC 9560 2x2 802.11ac + Bluetooth 5 controller that supports up to 1.73 Gbps throughput (when used with appropriate Wi-Fi networks). As for physical connectors, the system is equipped with one USB 3.1 Gen 2 Type-C port, two USB 3.1 Type-A headers, an HDMI output, an SD card reader, and a TRRS audio jack. Since the Swift 5 is intended to be ultralight, Acer has cut usage of discrete components to a minimum, which is why the PC comes with a fairly simple webcam without IR sensors to support Windows Hello facial recognition. Meanwhile, the system is equipped with a fingerprint reader that is compatible with Windows Hello. 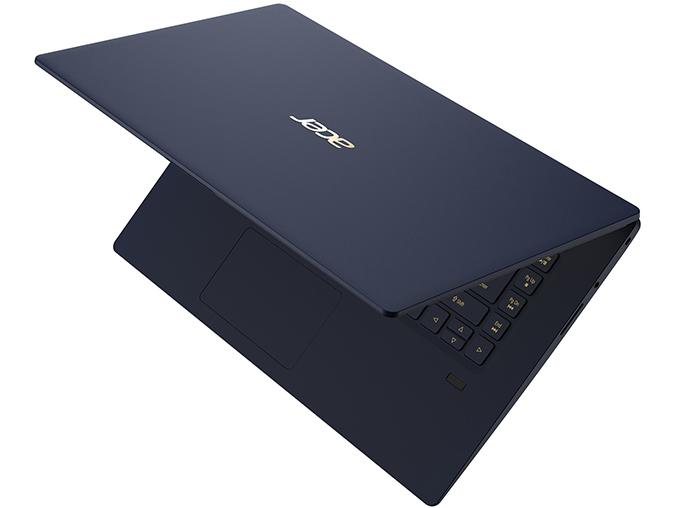 The new Acer Swift 5 will be released later this year. 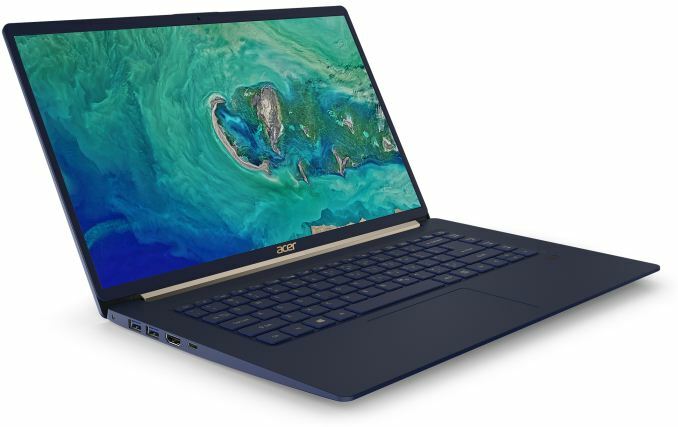 Acer has not disclosed pricing of the ultralight laptop and since it also has not released its final specs (and even refused to disclose the CPU family), so expect that that MSRPs will depend on CPUs used for particular models. 100% agree with wr3zzz. We need more 15.6 inch ultrabook choices that DO NOT HAVE A FAN. The CPU has improves so much faster than common business software demands that it is no longer necessary to put more than the minimal CPU options in ultrabooks. If you want to complain about not having a powerful enough GPU, there are tons of other laptops with higher spec GPU options. Choose one. What we really need are 8-10w CPUs in FANLESS 15.6" ultrabooks. If Acer can build this at <2.2 lbs and sell it for $1200 US, with the fancy magnesium case, someone else, or even Acer, should be able to produce the same model with a regular aluminum case and the same specs at 2.4 lbs and hit a $1000 US price point. I know I'd be a buyer if I saw it hit that level for sure. I'm probably going to be a buyer of this Acer unit when they finally get around to selling it in a couple of months, 6 months plus after announcing it (come on Acer, really?!?). I wanted it in May. I'll be lucky to get it in November. Some of us don't even need quad core cpus. Someone should be producing a 2.4 lb 15.6" ultrabook with the new Intel Core i7-8500Y dual core, 5 watt CPU. We demand some fanless options from the manufacturers.